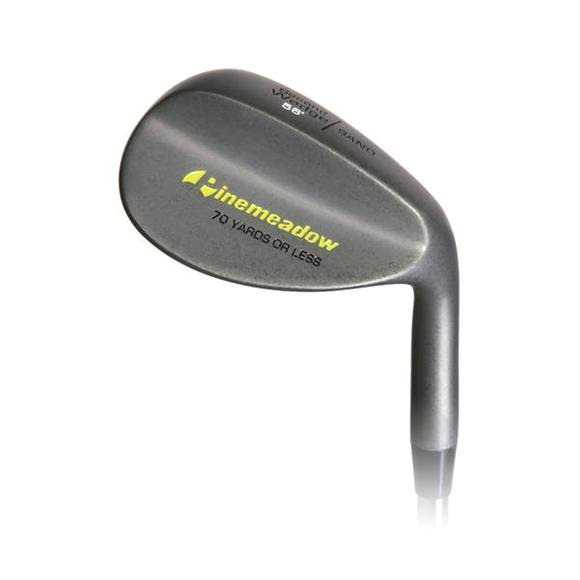 This Pinemeadow Golf wedge is the same great wedge that has earned accolades from many. A dark tumble finish paired with a big sweet spot are the qualities that have made this wedge so successful. The expanded face area makes this wedge the easiest to play out of the most difficult lies allowing the golfer to get under the ball but still have enough club to generate control and ball flight. This Pinemeadow Golf wedge is the same great wedge that has earned accolades from many. Built standard with high quality Pinemeadow steel from Apollo.